We offer our customers ladies knitted tops in trendy colors and designs. 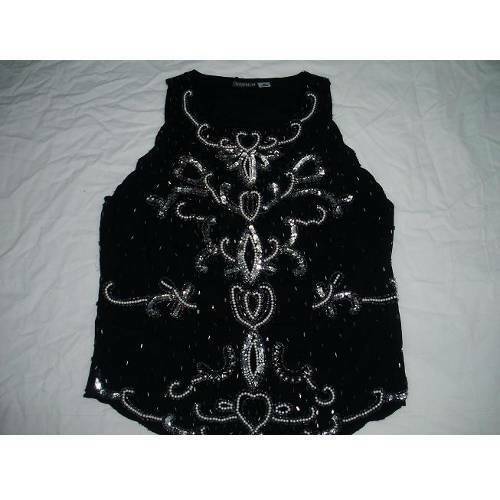 These tops are made using high grade fabrics, sourced form reliable vendors. These are available in various attractive prints and colour combinations. Appreciated for durability, comfort, color fastness, these are available in various designs, sizes and patterns. These tops are especially designed by our highly experienced experts. "Mehak Exports" is engaged in manufacturing & exports of ready made garments and bottom wear from last six years. With my father "Mr. Naveen Kr." who is in this garment business from last 37 years, mainly have done work for catalog buyers for France (3 Suisses, La- Redoute, Reine Derhy), Norway, West Germany (Quelle, Style Man) and also for stores in USA, have made approximate 20,000 garments per month for these high quality buyers. Now we are exporting ready made garments to Julian Rus Canibano Sl (Spain) through Sheen Sourcing & Buying Services, Noida from last six years and for M/s Sudharma Impex France (importer) from last three years and manufacturing bottom wear for brands like Monte Carlo, Numero Uno, Lorenzi etc. in the domestic market. We are having full fleshed stitching & sampling unit at sec- 57 with 50 nos. of Juki Stitching Machines, flat lock & over lock machines. Working on assembly line. Finishing unit with 10 no. of steam press tables and full trained salaried staff having capacity to export 20 thousand garments per month. Besides this we are having 150 stitching machines at Shahbad (Shahjahanpur, U.P) for making high quality garments in any type of fabric. We are quality conscious people and can make any type of garment. We do all type of ladies, kids & men's garments in yarn dyed, solids, printed, denim & non-denim and knitted garments. We have good and long relationship with dyers, printers, beeders embroiders and fabric suppliers. Now at present we are having spare capacity for approximate five thousand pieces per month, we are having good financial background.